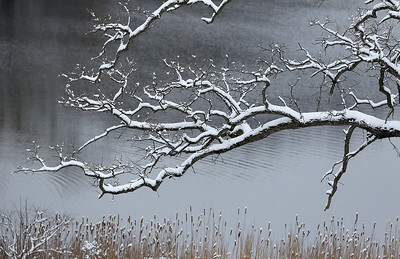 H. Rick Bamman - hbamman@shawmedia.com Branches and Cattails are coated in snow Monday, March 13, 2017 in Veteran's Acres Park in Crystal Lake. According to the National Weather Service Tuesday is expected to be colder with snow showers and a high of 27. 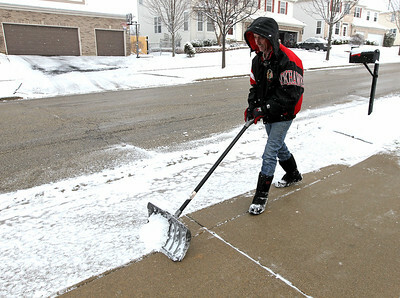 H. Rick Bamman - hbamman@shawmedia.com Algonquin resident Edwin Walsh clears his driveway on Lake Gillilan Way on Monday, March 13. According to the National Weather Service Tuesday is expected to be colder with snow showers and a high of 27. 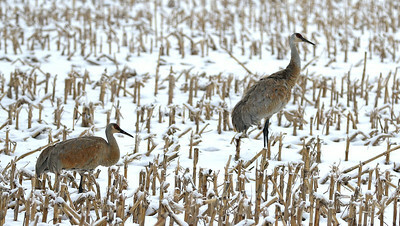 H. Rick Bamman - hbamman@shawmedia.com A pair of Sandhill cranes graze in a snowcovered corn field Monday, March 12, 2017 along Sandbloom Rd. in Algonquin. According to the National Weather Service Tuesday is expected to be colder with snow showers and a high of 27. 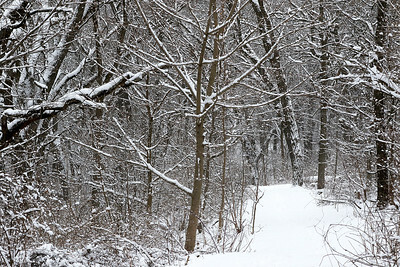 H. Rick Bamman - hbamman@shawmedia.com A path winds through trees coated in snow Monday, March 13, 2017 in Veteran's Acres Park in Crystal Lake. According to the National Weather Service Tuesday is expected to be colder with snow showers and a high of 27.